Vårdförbundet (the Swedish Association of Health Professionals) is the trade union and professional organisation of four registered professions; nurses, midwives, biomedical scientists and radiographers. Vårdförbundet (the Swedish Association of Health Professionals) is the trade union and professional organisation of four registered professions; nurses, midwives, biomedical scientists and radiographers. We represent more than 80 % of the workforce. If you are a registered nurse, biomedical scientist, radiographer or a midwife you are welcome to practice in Sweden after recognition of the National Board of Health and Welfare. Below you will find some practical information where to start the process. Vårdförbundet collaborates with the national professional organisations representing our four professions. 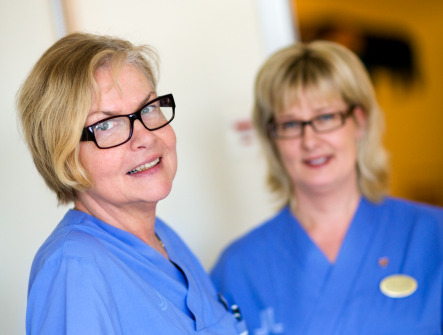 Vårdförbundet collaborates with the trade unions and professional organisations that represent four healthcare professions in the Nordic countries. Vårdförbundet is a member of a number of European and International professional associations and trade unions. We are also active in international organisations working to promote health. Healthcare in Sweden is a public responsibility, financed primarily through taxes levied by county councils and municipalities. Interested in learning more about us? Feel free to send us your query, using the e-mail address below or give us a ring.